Mpho Mphaga and Lesego Masekela met through design circles and refer to their partnership as ‘Strangers united by Design’. The duo has joined forces and are keen to give their all in their hope to be dubbed Win a Home Season Four design winners. 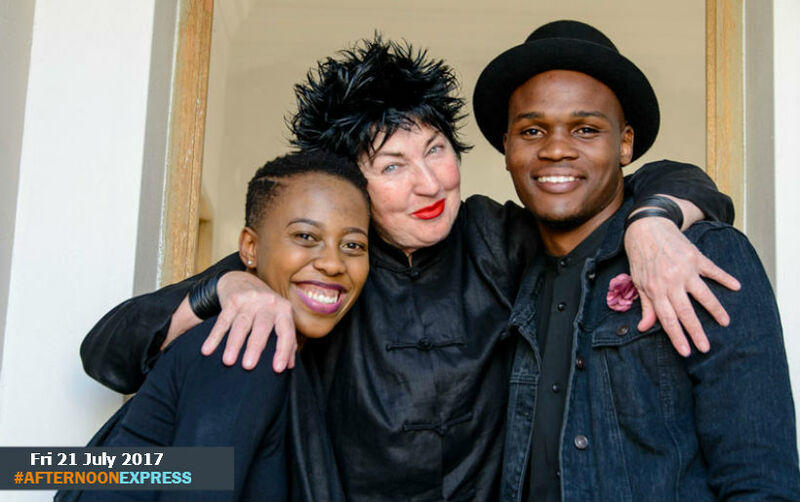 The pair will be gaining design direction throughout the competition from Annemarie Meintjes, deputy editor of VISI magazine. Mphaga, aka MphoDesigner, hails from Shoshanguve. His love for interior design started at a young age. Mpho went on to fulfill his passion and studied interior design at the Tshwane University of Technology. Since graduating, he has gained hands-on experience working alongside a number of interior designers as a design consultant and also gained knowledge through interning with Donald Nxumalo of DNX Interiors, Win a Home’s very first design winner. Mpho will be working with design partner, Lesego Masekela, who obtained her BA in Interior Design from the Design School of Southern Africa. She is passionate about reflecting personality in the living space through the creation of striking spaces where people can feel at home. Design is something she considers to be therapeutic. The 23-year-old enjoys maintaining a fitness regime and she considers herself a typical girl who loves to shop, usually on the hunt for good deals on fashion accessories (and interiors). When it comes to her love of food, Lesego says that pizza and breads are firm favourites. She has gained experience in various fields of design, working as a render technician, junior designer and, more recently, as an exhibition architect. It doesn’t stop there for this determined woman: Lesego also completed a certificate in commercial property brokerage law and practice from the University of Cape Town last year. The duo both feel that working together as a design team is going to be a challenge, as they will have to share ideas and implement them together. This will require equal input from both partners. They are excited to bring a team effort through their individual perspectives to the Win a Home design challenge. Mpho and Lesego will be this season’s only male-female duo. It will be interesting to see how they integrate not only masculine and feminine elements, but also their unique experiences and attitudes towards different design elements. Having already achieved a vast amount in their young careers, could this determined duo flourish as the Season 4 winners?